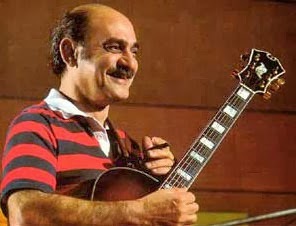 Remember Bob Roetker's story about meeting Joe Pass last month? Well, Bob has uploaded the entire concert of Joe's solo concert of that night to his Youtube page. It was recorded at a private concert in a small music store in Virginia Beach, VA in October 1985. This material is one of a kind and therefore totally amazing! Thanks Bob for making it available.